Your mouth is incredible. Just think about it, you do so much with it, and more importantly, to it, all day – every day. Every single thing you put into your mouth is covered in germs. There could be as many as seven billion bacteria in your mouth at any one time. 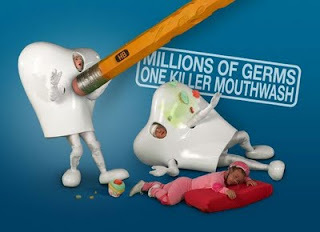 That’s so many, that not even brushing can get rid of them all – eurgh. But don’t worry, keeping your mouth at its extraordinary best isn’t as hard as you may think. Use Listerine after brushing and POW, you’ll feel it working away – giving you the deepest clean of any daily use mouthwash, keeping your mouth in top condition – whatever you put it through. 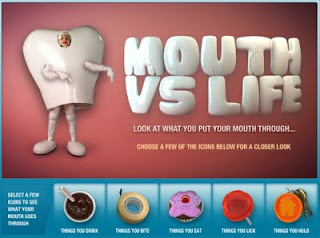 An interactive YouTube page, which uses the site's autoplaylist functionality to allow visitors to highlight the effects of individual types of things they put their mouth through.